SIMON LEVY - playwright, theatre director and producer - is the Producing Director for The Fountain Theatre in Los Angeles. Since 1993, Simon has been the Producing Director for the Fountain Theatre in Los Angeles. His recent directing project at the Fountain Theatre was a 5-month sold out run of the West Coast Premiere of a revised version of Chaim Potok's The Chosen. Critic's Choice!, Los Angeles Times. OVATION Recommended! He also had Mark Harelik's The Immigrant running at Sierra Madre Playhouse until May 26, 2018. OVATION Recommended! His trilogy of F. Scott Fitzgerald stage adaptations - The Great Gatsby, Tender is the Night, and The Last Tycoon - are published by Dramatists Play Service, www.dramatists.com. They are the first authorized adaptations that have been granted exclusive rights by the Fitzgerald Estate. The Great Gatsby was a Finalist for the PEN Literary Award in Drama, and is being produced across America and around the world. Please visit The Great Gatsby Play website - www.TheGreatGatsbyPlay.com - for more information about current, upcoming, and past productions. Tender is the Night won the PEN Literary Award in Drama, as well as 7 Drama-Logue awards including Best Production and Direction. The Last Tycoon won 5 Back Stage West/Drama-Logue awards including Best Adaptation and Best Direction, and was nominated for the prestigious Los Angeles Drama Critics Circle Ted Schmitt Award for Original Play. In 2016 he directed the award-winning production of Tennessee Williams' Baby Doll, and the West Coast Premiere of Athol Fugard's The Painted Rocks at Revolver Creek which was Critic's Choice in the Los Angeles Times, and was hailed by the Los Angeles Times as one of the Best Theater Productions of that year. He is the recipient of the Los Angeles Drama Critics Circle's Milton Katselas Career Achievement Award in Directing. And has been nominated twice for the Stage Directors and Choreographers Foundation's Zelda Fichandler Award. In March 2015 he directed Reborning by Zayd Dohrn at the Fountain Theatre, which was also Critic's Choice in the Los Angeles Times. His acclaimed production of the Los Angeles Revival of Larry Kramer's The Normal Heart, which he directed, had an extended 3-month run at the Fountain Theatre - and was named by the Huffington Post as one of the Top L.A. Theater Productions of 2013, and won numerous awards including the Best Production (Revival) Award from the Los Angeles Drama Critics Circle. Prior to that he directed the World Premiere of Stephen Sachs' contemporary deaf/hearing retelling of Cyrano, a co-production with Deaf West Theatre, which received rave reviews at the Fountain Theatre and had a 4-month sold out run. It won, among other awards, 4 Los Angeles Drama Critics Circle Awards, including Best Production, Best Adaptation, Best Direction, and Best Actor. In 2011, his production of the West Coast Premiere of Tennessee Williams' last play A House Not Meant to Stand was a critical success at the Fountain Theatre and is the recipient of numerous awards and nominations, including being named by the Huffington Post as one of the Top L.A. Theater Productions of 2011. 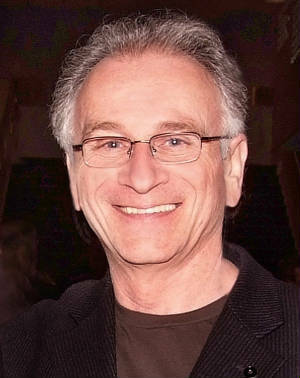 In 2010 he directed the Los Angeles Premiere of Michael Hollinger's Opus, which received rave reviews, was extended twice, and was the recipient of numerous awards and nominations, including the OVATION, Los Angeles Drama Critics Circle, LA Weekly, and Back Stage Garland awards for Best Production, Best Direction, and Best Ensemble, among others. In 2009 he directed Anna Ziegler's Photograph 51, which was Pick of the Week, L.A. Weekly, received OVATION Award nominations for Best Season/Best Production/Lead Actress, received L.A. Weekly Award nominations for Ensemble/Lead Female Performance/Lighting Design, and was the recipient of other nominations and awards. He has produced the following plays by Athol Fugard at the Fountain Theatre: U.S. Premieres of The Blue Iris, The Train Driver, and Victory, the West Coast Premiere of Coming Home, and the World Premiere of Exits and Entrances, all of which received rave reviews, plus numerous awards and nominations; he also produced: the West Coast Premiere of Bernard Weinraub's The Accomplices to rave notices, which was remounted at the Odyssey Theatre in 2009; the 2011 World Premiere of Stephen Sachs' Bakersfield Mist; the 2013 West Coast Premiere of Ken LaZebnik's On the Spectrum; the Los Angeles Premiere of Aaron Posner's adaptation of Chaim Potok's My Name is Asher Lev; the Los Angeles Premiere of Tarell Alvin McCraney's The Brothers Size; the World Premiere of Stephen Sach's adaptation of Claudia Rankine's Citizen: An American Lyric; and produced the World Premiere of Stephen Sachs' Dream Catcher. He's currently producing Sachs' Arrival & Departure for a July 2018 opening. His directing and producing credits are numerous, over 100 productions in Los Angeles and San Francisco that have won more than 200 awards. In San Francisco he was the Founding Producer of the Playwrights Unit, One Act II, which specialized in new work by local writers; became Artistic Director of the One Act Theatre Company where he produced and directed many award-winning productions; and was general manager of San Francisco's hit revue, Beach Blanket Babylon. He has taught Playwriting at Chapman Univeristy, Playwriting at UCLA Extension for many years, was a site evaluator for both the National Endowment for the Arts and California Arts Council, and is a member of the Dramatists Guild, Literary Managers and Dramaturgs of the Americas, Theatre Communications Group, the National New Play Network, the F. Scott Fitzgerald Society, the Stage Directors and Choreographers Society, as well as a host of political, environmental, humanitarian, and arts advocacy groups.